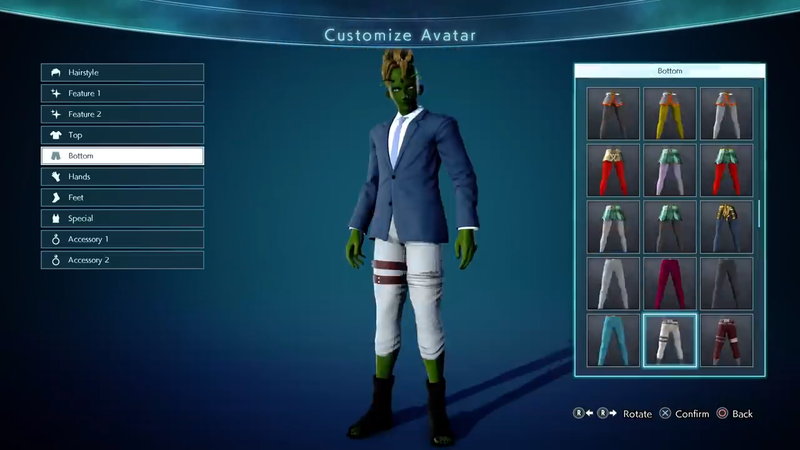 Jump Force fans get an eyeful of Story Mode footage as well as a look at the customizable character creation tools. The latest Jump Force trailer is finally out in the wild, and fans can check it out to get a glimpse of their favorite Shonen Jump characters duking it out for a purpose. The two-minute Jump Force trailer begins with Dragon Ball Z's Trunks, Goku, One Piece's Luffy, and a selection of other heroes being briefed on new worlds they'll be traveling to as part of the J-Force." There's also footage of the surprisingly robust character creator, where you can put together your own customizable character if you're not as interested in playing as one of the game's various Jump heroes. It's like a dream come true for those interested in bringing their own action heroes to life, and Jump Force has done a great job so far of giving even minor characters interesting roles in the overarching world. Bandai Namco also released screens of Izuku "Deku" Midoriya from My Hero Academia, who'll bring his signature Detroit Smash (courtesy of All Might's Quirk) to the game to cause some serious destruction. Jump Force will ignite consoles on February 15, 2019 when it launches on PlayStation 4, Xbox One, and PC. Curious if it's your thing? Be sure and check out our hands-on with the game, straight out of Tokyo Game Show 2018.